The Bisons activated Teoscar Hernandez in front of the team's three-game series in Scranton/Wilkes-Barre against the RailRiders. The first game of the series is Tuesday night at 7:05 p.m. (ESPN 1520, 6:35 p.m.). Hernandez, a 24-year old right-hand hitting outfielder, was acquired by Toronto on Monday in a three-player deal that sent pitcher Francisco Liriano to the Astros. He spent almost all of this season with Triple-A Fresno of the Pacific Coast League, hitting. 279 with 20 doubles, 12 home runs and 44 RBI in 79 games. Hernandez also stole 12 bases for the Grizzlies and has averaged .339 with 12 RBI in 14 games since the All-Star Break. Hernandez was ranked the 8th best prospect by Baseball America in their midseason evaluation. 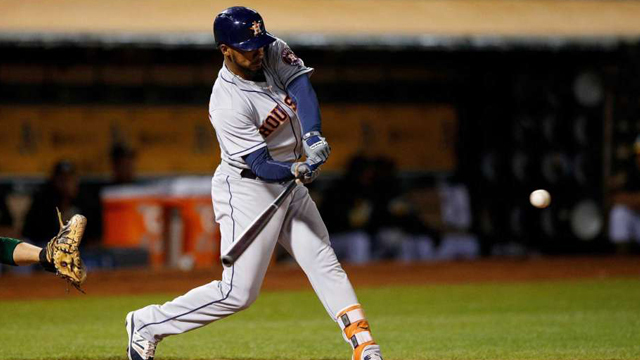 He made his MLB debut with the Astros last season and hit .230 with four home runs and 11 RBI in 41 games. He played one game with Houston in April this year. Buffalo returns home on Friday for a three-game series against the Lehigh Valley IronPigs that includes a Honda fridaynightbash! and Seinfeld Night on Saturday. CLICK HERE for tickets.